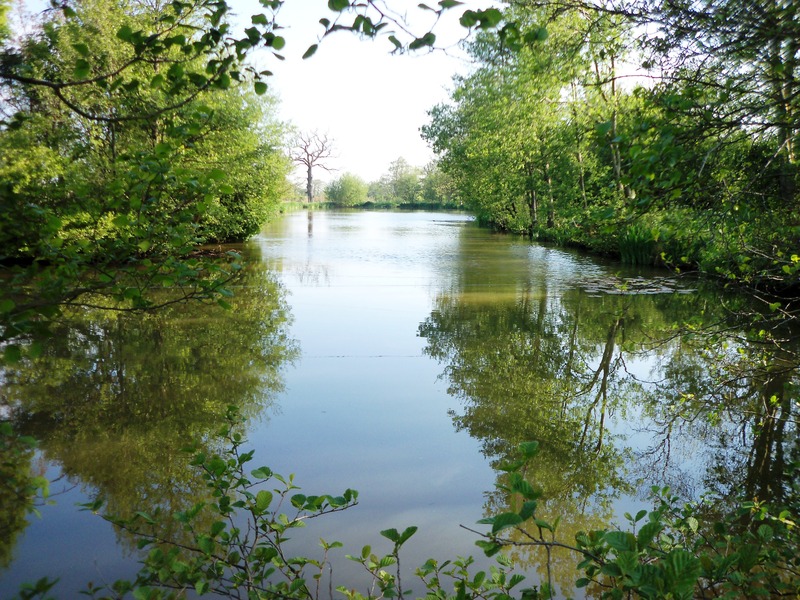 Well, I set off to the club’s tench/silvers pool full of hope this morning – arriving and tackled up and fishing by 7:00am. 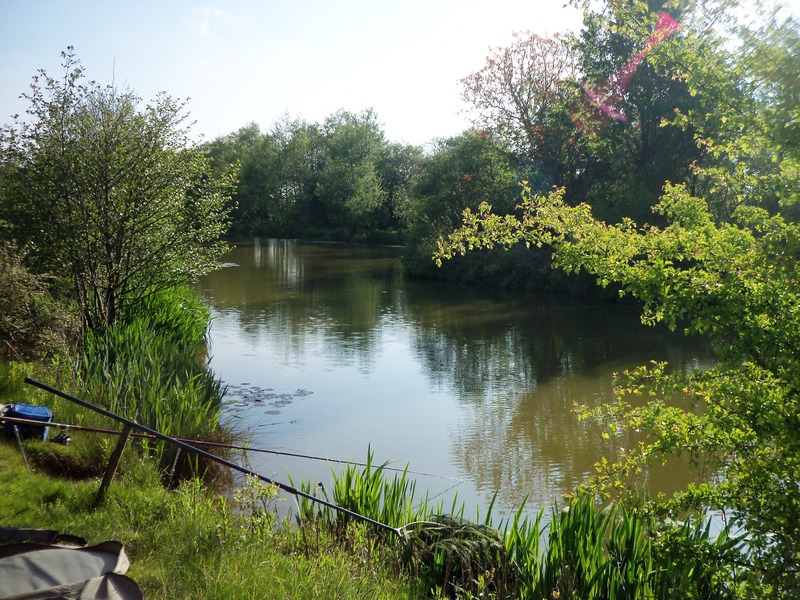 Beautiful morning … but despite floatfishing (laying on and slow-drop) maggot for 2.5 hours without a touch and then legering worm on the quivertip for another 2 hours (a couple of small knocks) I did not have one decent bite. 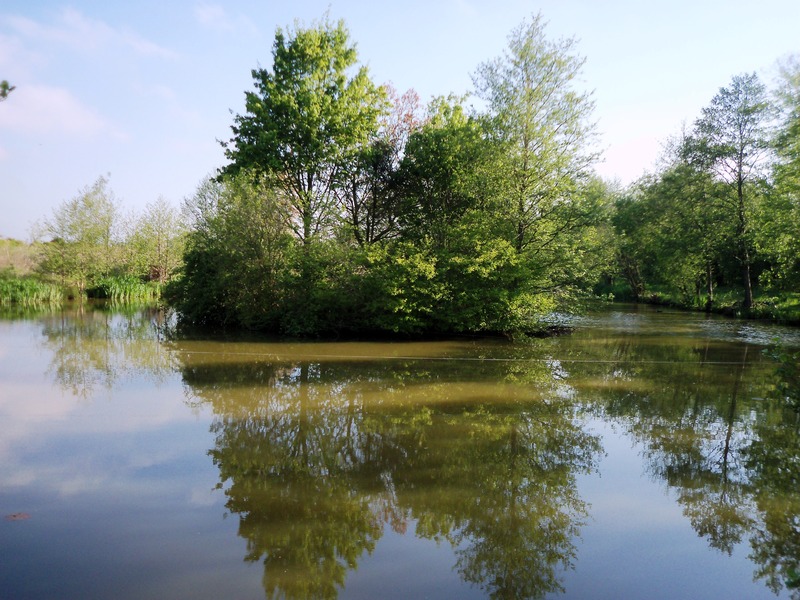 At noon I transferred my attentions to the adjoining carp & chub pool – fishing legered worm off an island with one rod and fishing floating bread on another. Carp could clearly be seen cruising around but, despite swimming under and alongside the bread, they were not at all interested. The worm rod fared little better with just 2 small jerks registered in 3 hours. 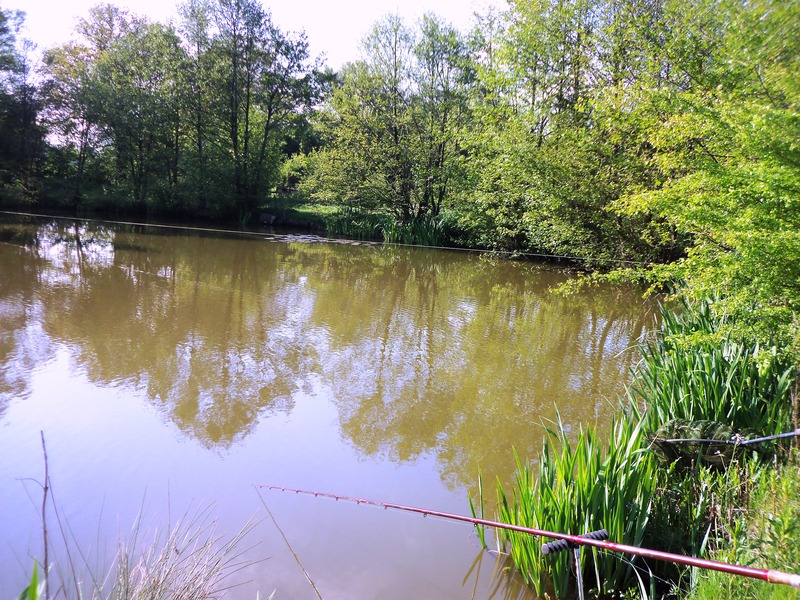 However, the floating bread did register interest with small fish, with groups attacking the bait and free offerings and I decided to see what these were… and did so by attaching a 2lb hooklength with size 18 hook baited with a single maggot onto the hook in use and just flicking a loose line out. 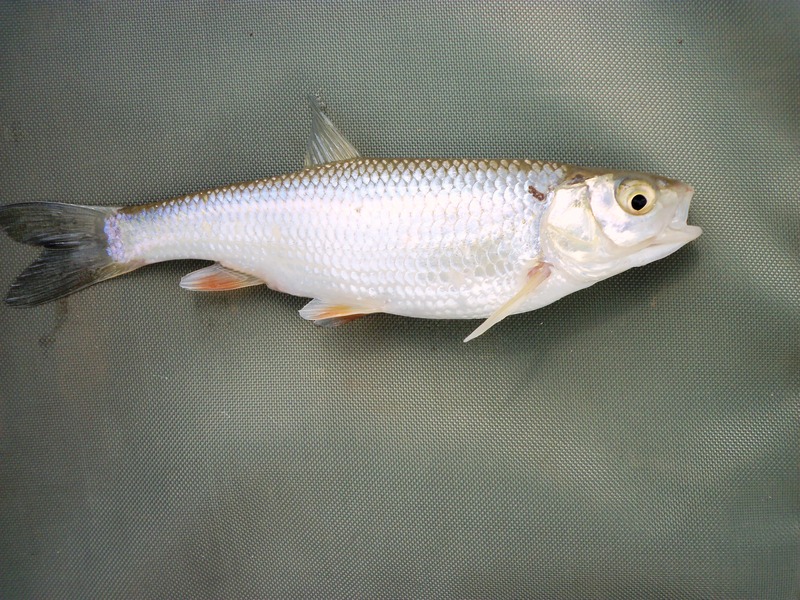 Within a minute or so I had landed 3 of these fish – all roach of about 2-3oz which aren’t supposed to be in that pool! I suspect there have been migrations of small fish between the 2 pools – both within 15 yards of each other and connected by a narrow pipe (rainpipe size) so that water can enter from a stream into the tench/silvers pool, then pass into the carp pool, and then overflow from the opposite end of that pool back into the stream when full.